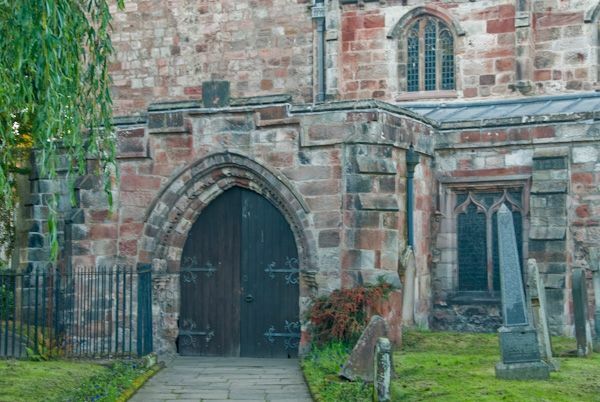 The church of St Lawrence stands at the bottom of Boroughgate in the heart of the old market town of Appleby-in-Westmorland. The church dates in part to the 12th century, though with remodelling from practically every century since then! 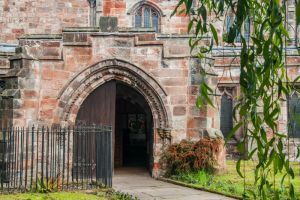 The church is built of local red sandstone and is composed of a south porch, west tower, nave, north and south aisles, two chapels, and a chancel. The base of the tower is the oldest part, dating to the 12th century. 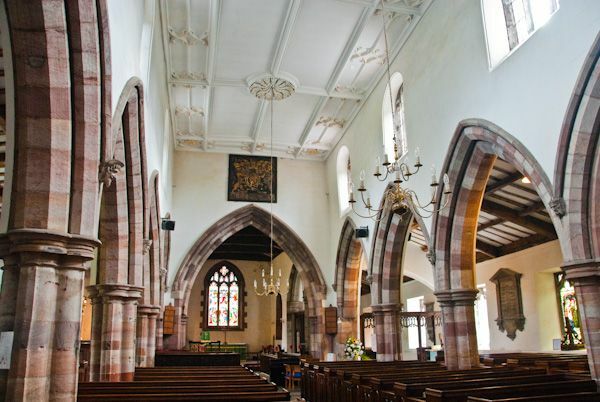 The church was attacked by Scots raiders on at least 2 occasions, in 1174 and again in 1388. The church is entered through the south porch, which was built in the 14th century. Here, the door features original dog-tooth moulding. There are several notable features in the church interior. The first of these you will see almost immediately upon entering. It is the large organ, located at the extreme west end of the nave. This is the oldest organ in England still in use, and it was a gift to Appleby of Carlisle Cathedral in 1683, however the oldest parts of the organ date to about 1542. At the base of the pipes are gilded cherub heads. 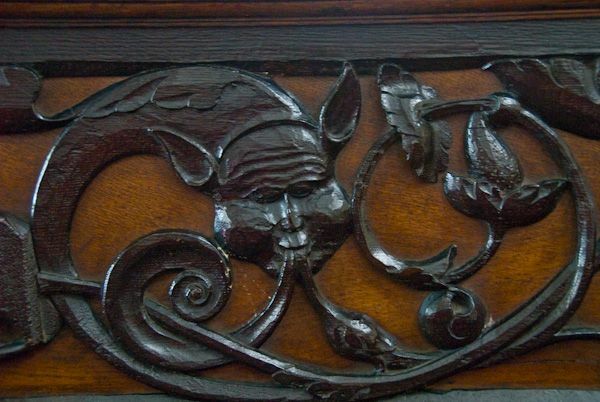 The nave is lined with interesting corbel heads, which were added during the 19th-century restoration. Moving up the north aisle you come to the north chapel, otherwise known as the Clifford Chapel, where two impressive memorials stand upon a dais. 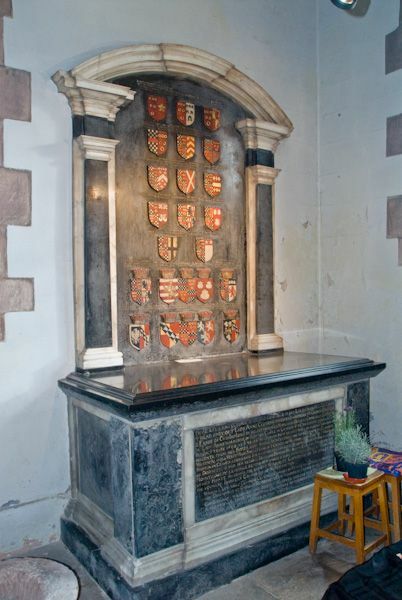 To the left, against the north wall, is the black marble memorial To Lady Anne Clifford, Countess of Pembrokeshire (d. 1676). 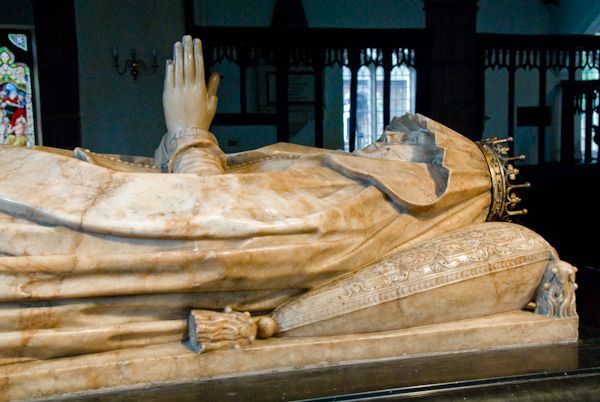 Lady Clifford is famous for rebuilding so many of the castles and churches in the Eden Valley, and, as you might expect, she had a hand in rebuilding St Lawrence church as well. She was also responsible for establishing St Anne's Hospital almshouses further up Boroughgate in Appleby. 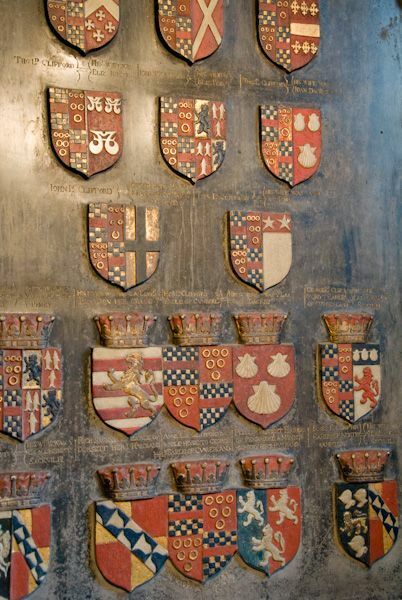 Her tomb is an intriguing peek into the 17th-century mind, for much of the memorial is taken up with a series of armorial badges, outlining Lady Anne's family tree in great and conspicuous heraldic detail. 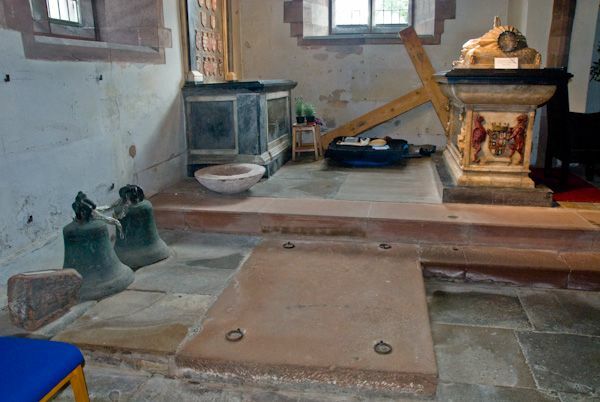 Lady Anne is not buried beneath the memorial, as you might expect but beneath the plain sandstone block below the north chapel dais, where iron rings are set into the stone. 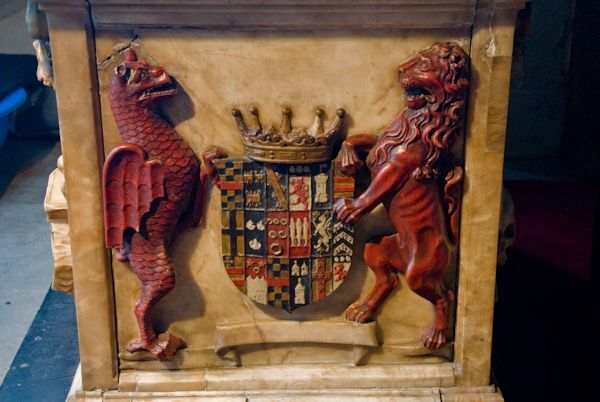 Immediately opposite Lady Anne Clifford's memorial is that of her mother, Lady Margaret Russell, daughter of the 2nd Earl of Bedford. 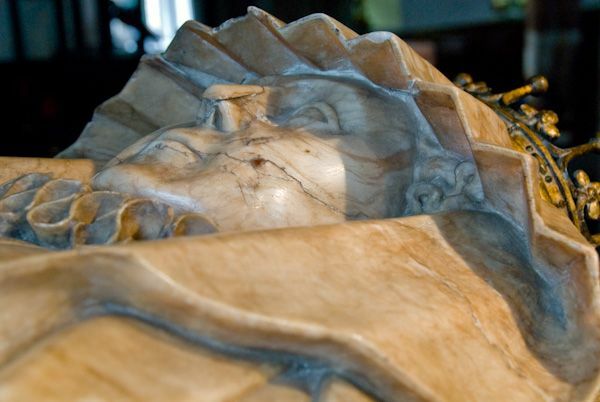 Lady Margaret is portrayed in effigy, beautifully carved in alabaster. 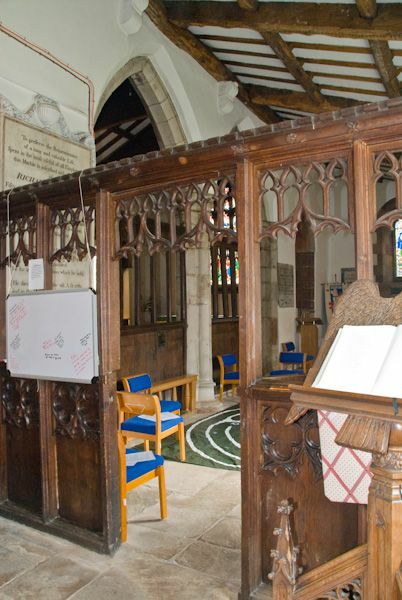 Other features of note include the screen separating the south chapel from the aisle and chancel. 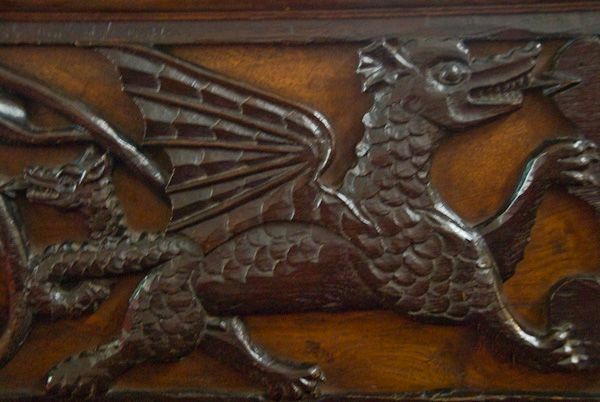 This is probably 17th century. At the north east corner of the nave is the box pew used by the aldermen of Appleby on special civic occasions. 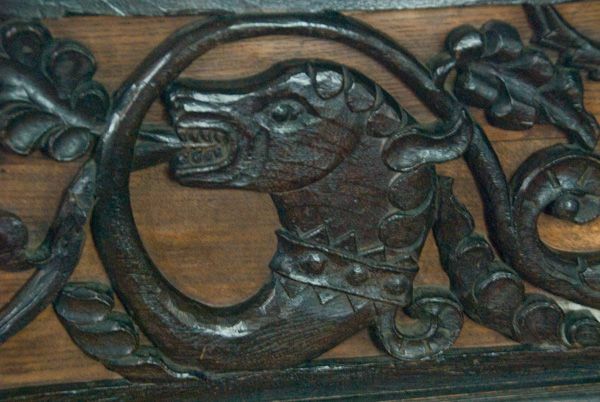 The pew is ornamented with a set of beautiful medieval or early Jacobean carvings, including those of several mythological beasts, including a dragon and a serpent with vines flowing from its mouth. St Lawrence is a superb historic church, and well worth a visit. Location: Located at the bottom of Boroughgate, with access through the 19th-century cloisters. There is lots of parking on Boroughgate, where a free parking disc scheme is in operation.